The Biggest Mistake Business Coaches Make When Trying to Earn Clients: STOP TELLING PEOPLE WHAT YOU CAN DO FOR THEM AND SHOW THEM INSTEAD! When you try to explain what business coaches do to a prospective client, it is likely they’ll hear you out but be thinking to themselves, “…but this person doesn’t know my business or my industry and I don’t know how he/she can help me.” They won’t tell you this; instead, they’ll just think it. They’ll politely tell you that it all sounds very good and they’ll think about it. They’ll invite you to call them back within a certain time-period. You’ll gladly agree, but when you do make the follow-up call, things start to feel funny. Either the prospective client doesn’t take your call, or, they tell you they’ve been too busy to think about it and to call back another time. How many times has that happened to you? TRY THIS: Instead of “telling” people what you do, just do it with them instead! Instead of giving a sales call, give a “coaching” call. When you do this properly, your prospective clients will clearly see specifically how you can help them! At the end of your initial coaching session, it is important that you sign that person up for regularly scheduled coaching. 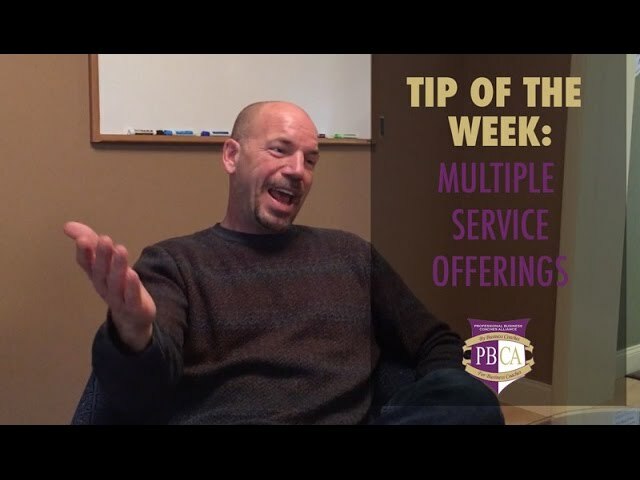 If you leave the initial meeting with the client excited, but wanting to “think about it,” your chances of signing that person as a paying client go down dramatically. Here’s Why: They won’t actually think about it! Instead, your prospective clients will leave your meeting, get back into the proverbial weeds of their businesses, and will continue to make tomorrow a continuation of the same old thing! When that happens, they lose and you lose. As a business coach, your job is to help people meet their own potential and realize their visions for getting into business. The Jon Denney Strategy Coaching Model for Selling Business Coaching Services will not only show you a highly-effective sales model, but will even provide you sample scripts to use to get in front of prospective clients, to coach them in an initial session (and beyond), to overcome typical objections, and even provides specific action steps to help you get going. Before you can be a high-earning business coach, you must be effective in selling your services. This manual will show you specifically how to do that! You’ll even get the manual on audio CD so you can listen to it while you read it. You’ve done a lot to get you to where you are today. Why not make a small investment that could launch your coaching practice to much greater success?!! Click Here to Order the Jon Denney Strategy Coaching Model for Selling Business Coaching Services. It’s only $195 and can make all the difference in the world for you and your business coaching practice!